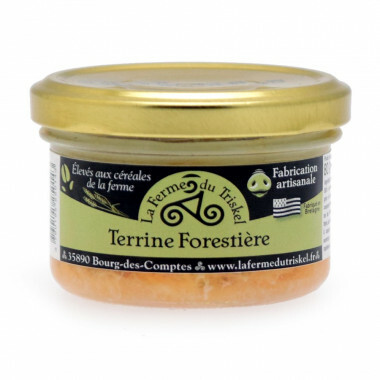 This traditional potted meat terrine made in Brittany combines pork with oyster mushrooms. 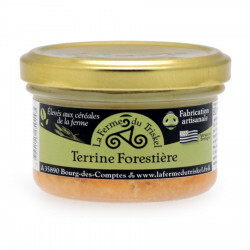 This traditional potted meat terrine made in Brittany combines pork with oyster mushrooms. This terrine has been seasoned with spices and herbs, and results in a smooth, forest-flavoured potted meat recipe for the young and old alike. To enjoy at its best, place jar in refrigerator for two hours before opening and enjoy these rillettes on fresh or toasted bread. The story of the Ferme du Triskel (The Triskel Farm) began in 1968, in a small remote farm of Ille-et-Vilaine, France. The pig breeders wished to promote authentic farm products, produced according to controlled production methods and boasting their strong attachment to Brittany. All year through, farm pigs are fed on cereals produced on site, in the respect of sustainable agriculture. 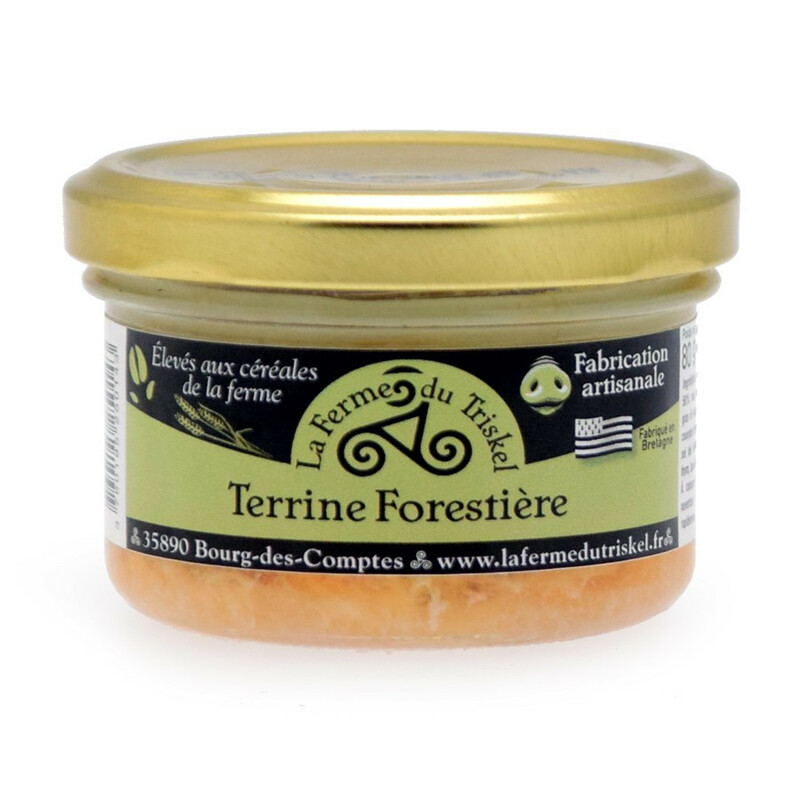 The company relies on the knowledge of a butcher specialized in canning to craft all of the delicious Breton terrines and rillettes, made without any conservatives or colourings. These original, gourmet recipes are kept secret and will delight friends and family for a snack or hearty meal. Ingredients : pork ham (50% minimum), lean pork, pork fat, oyster mushrooms (15%), rind cooked pork, onions, Guérande sea salt, black pepper, thyme, bay leaves, garlic, parsley, brandy. No artificial additives or conservatives. Keep in the refrigerator after opening and eat quickly. Best before : see date on packaging.